Some libraries, publishers and composers want an even more custom front end on their home page so for these clients we offer our custom development services to help them achieve their goals. Here's a great example of one site on our platform that gave us a great front end design and our dev team integrated it into their site's home page: Noise Heap . The nice guys at Noise Heap provided us with the design and our development team pulled it together for them. We're all really happy with it. To proceed with this custom home page option we simply encourage you to find a designer, work on your ideal page layout, look and feel, and then contact one of us over here at SourceAudio to obtain a quote. 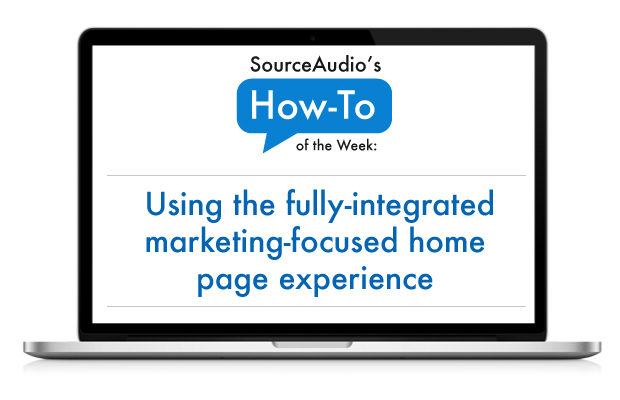 If you have any questions about how to tap into everything SourceAudio offers you to achieve your desired results for an integrated home page experience, feel free to contact us at anytime!